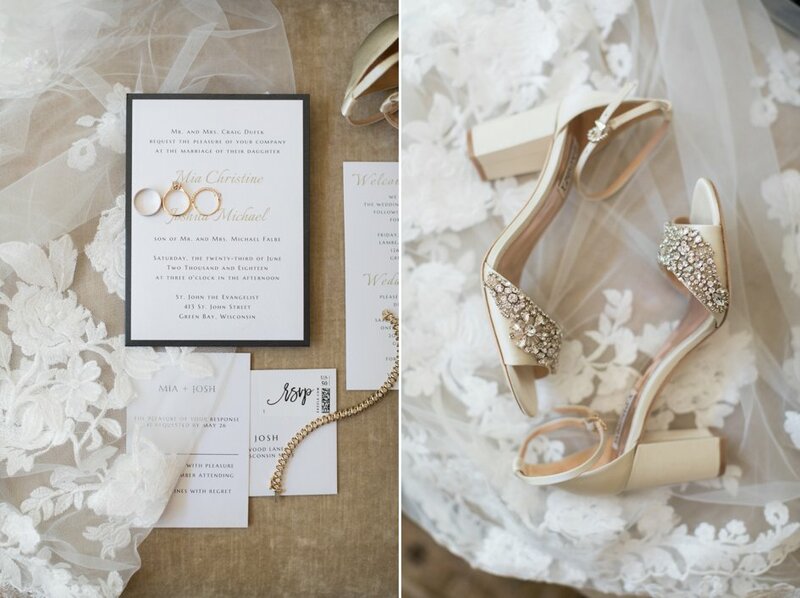 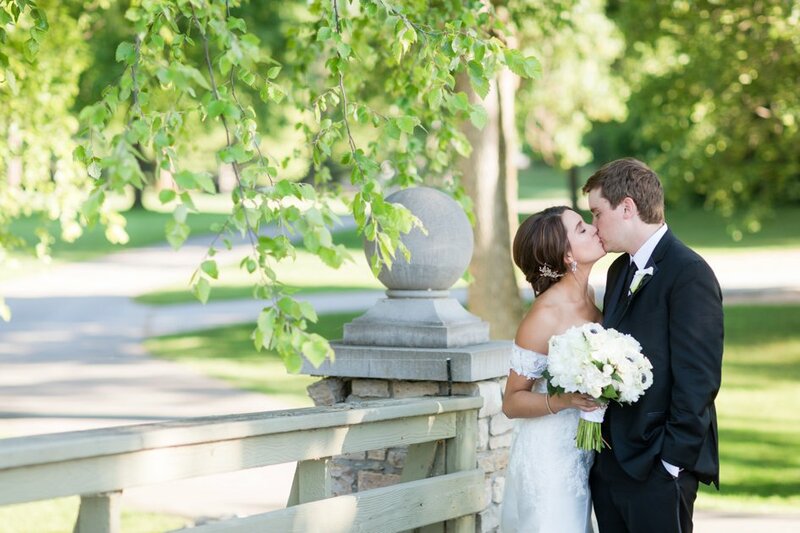 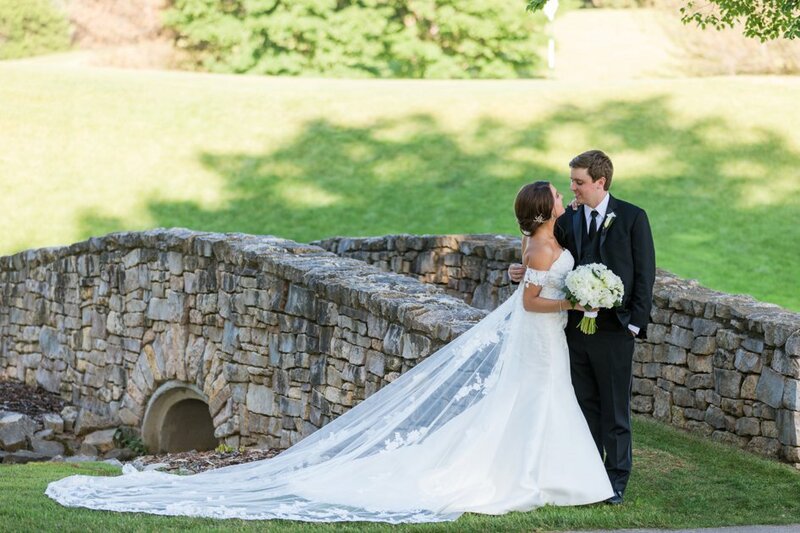 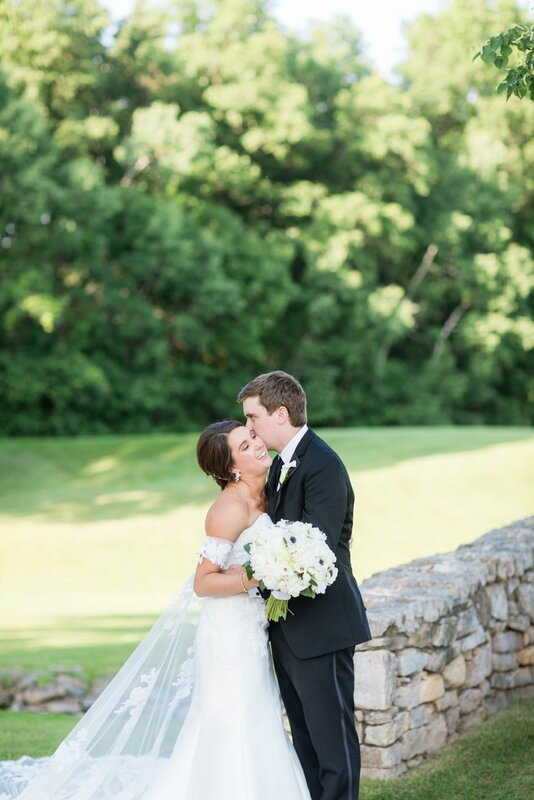 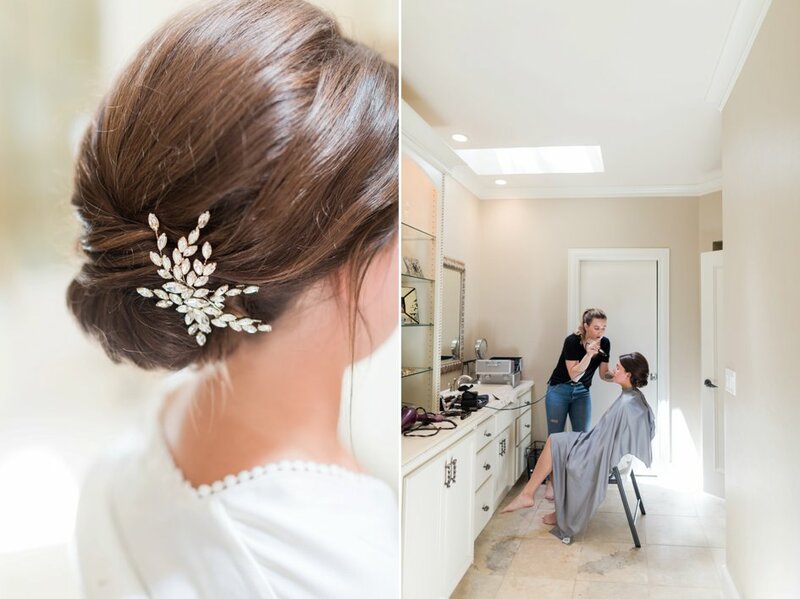 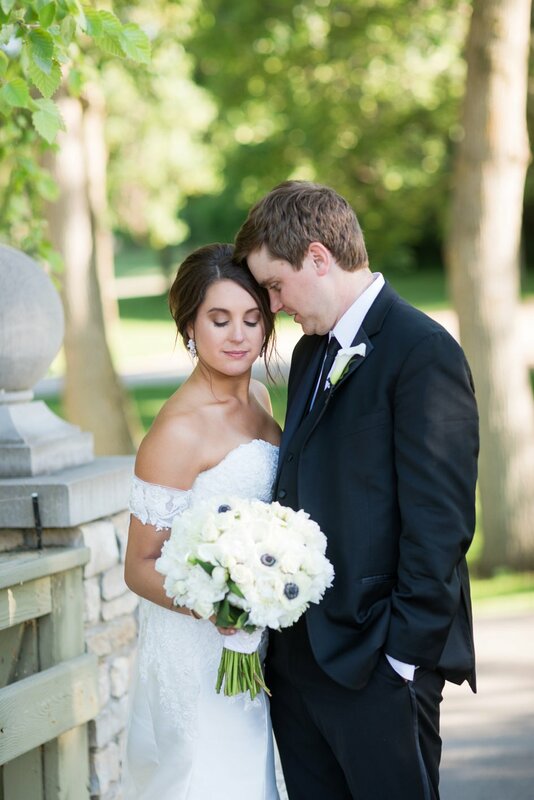 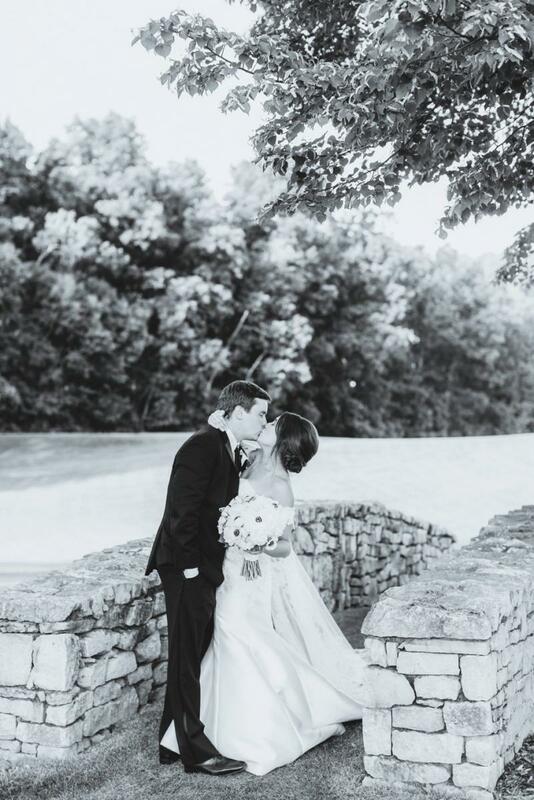 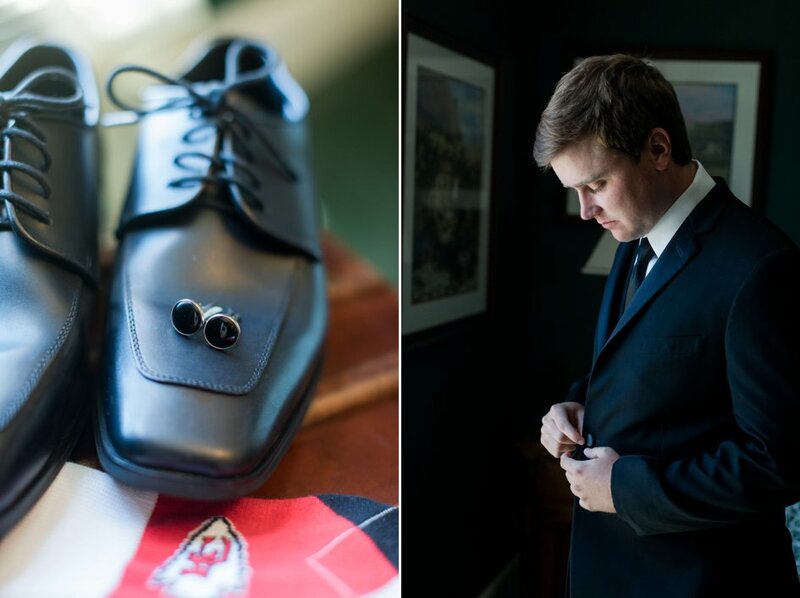 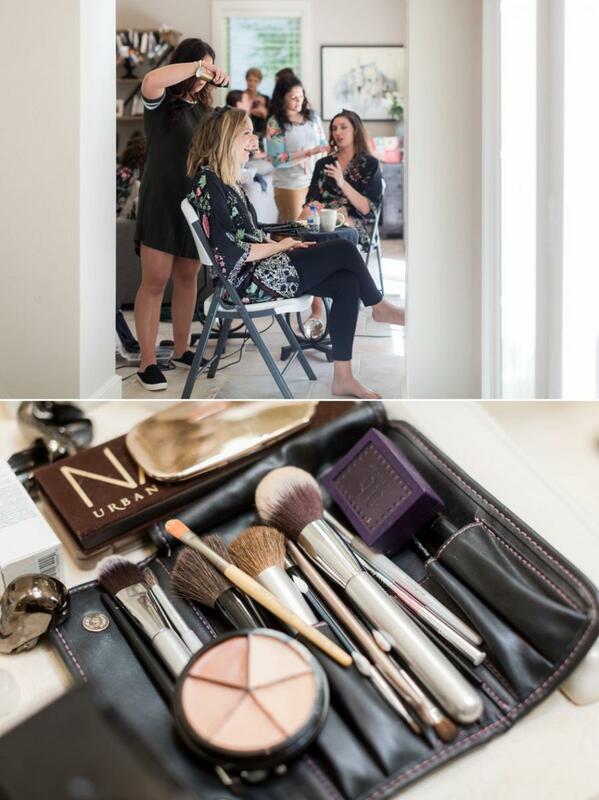 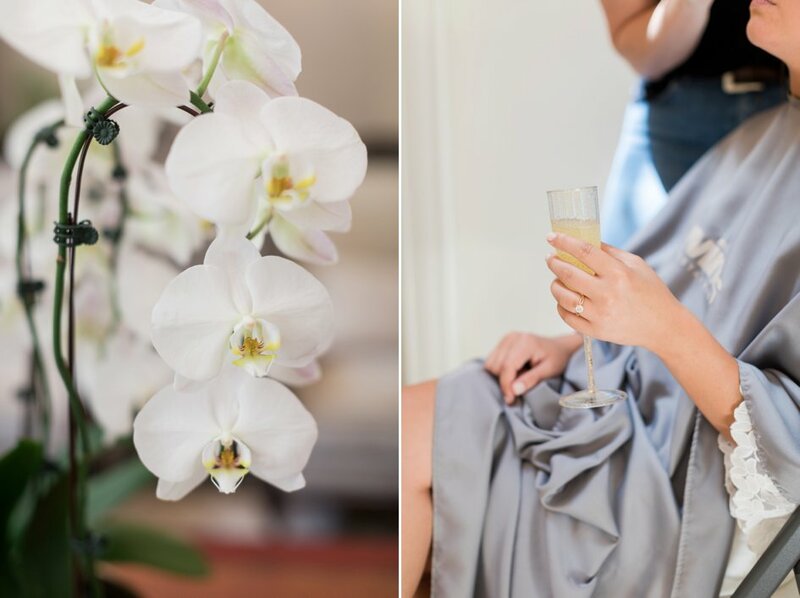 This couple’s modern summer wedding is full of simple yet luxurious elegance. 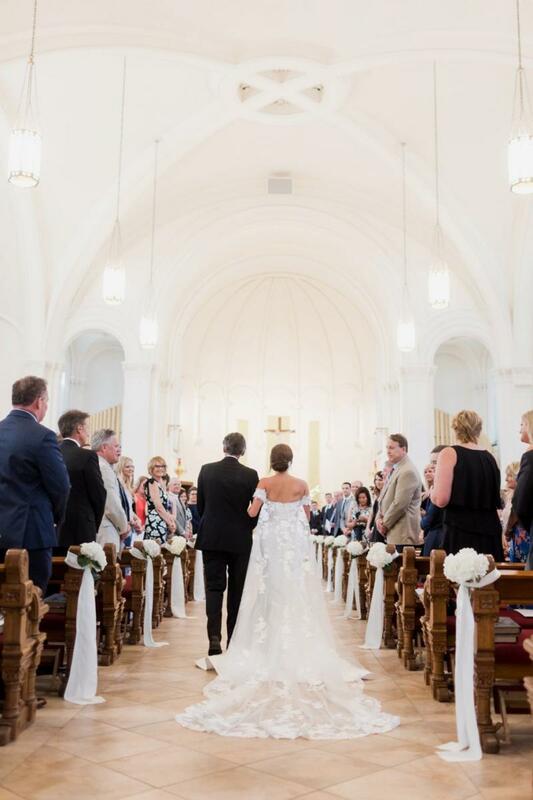 The bride’s gown had a stunning lace train that filled the aisle at the ceremony. 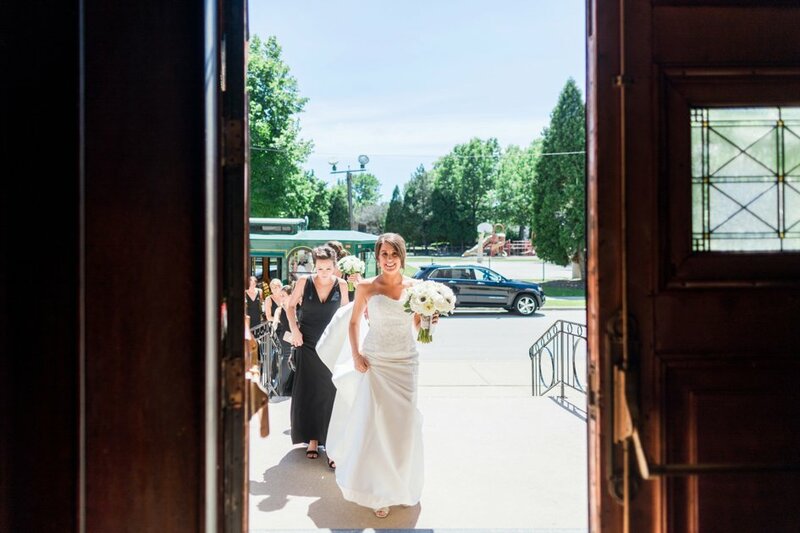 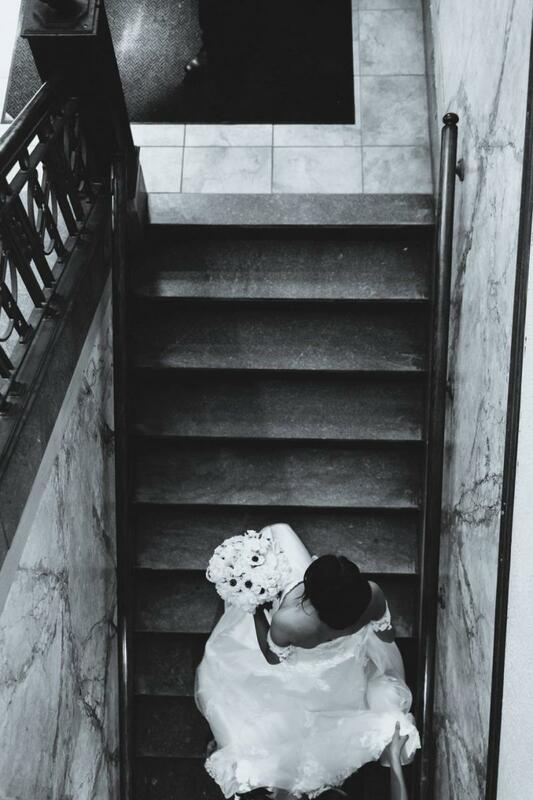 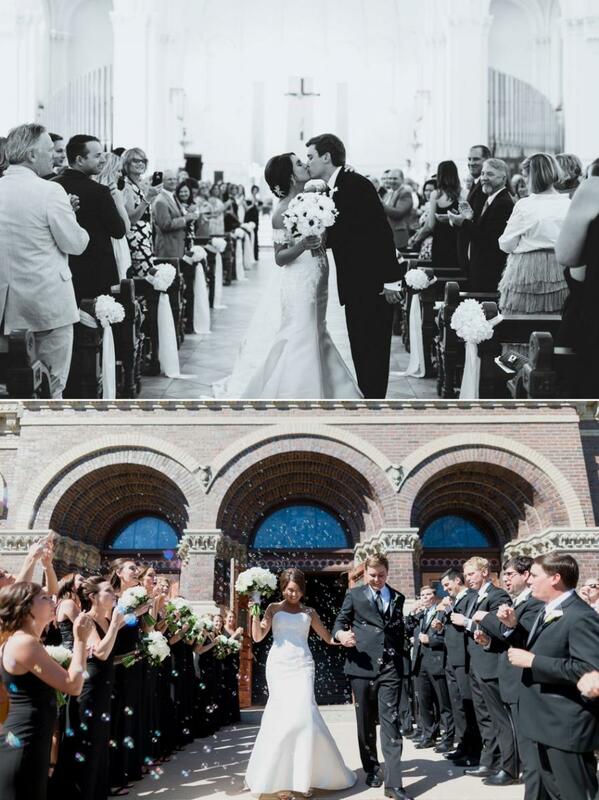 Guests blew bubbles as the newly-married couple descended the church stairs before heading to the reception at the Oneida Country Club. 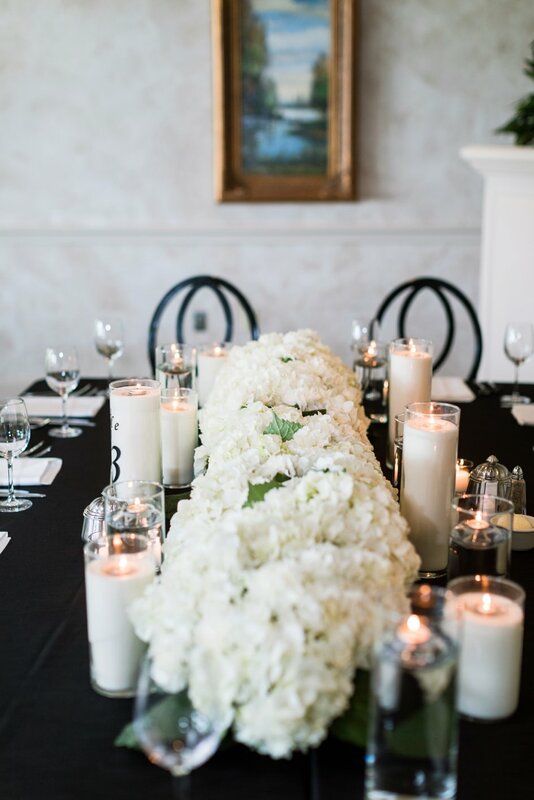 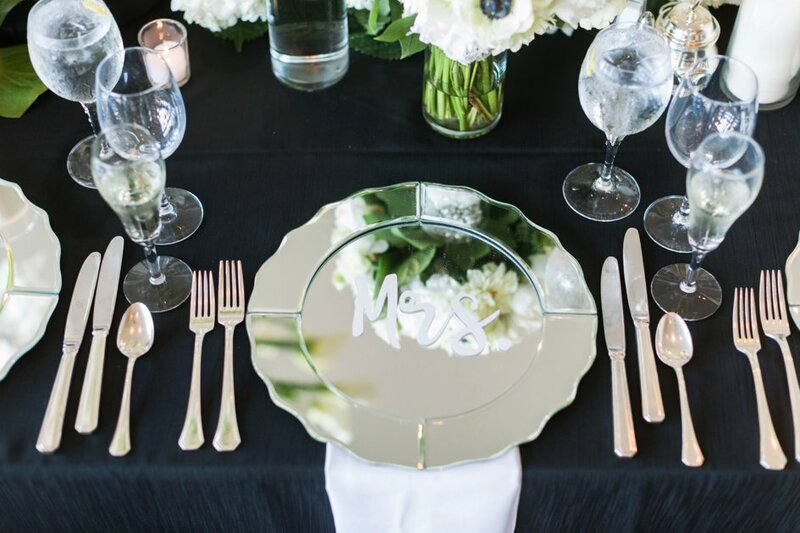 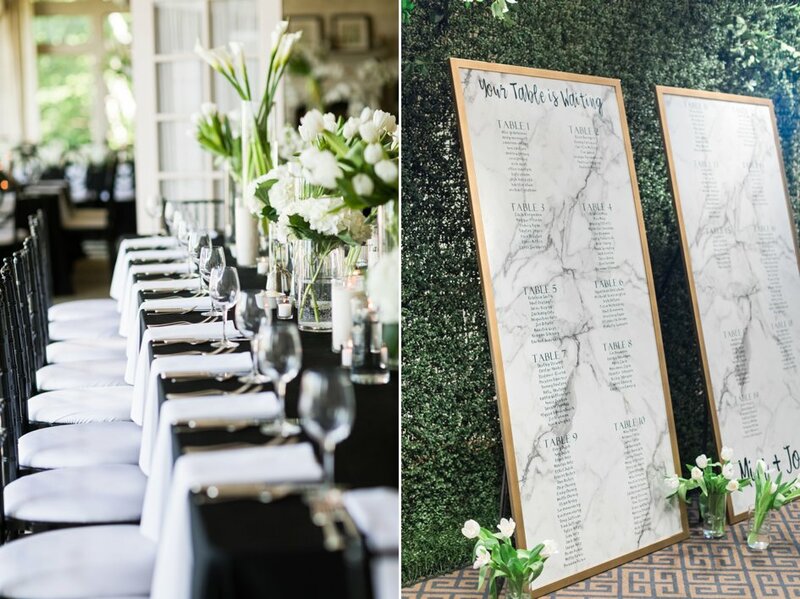 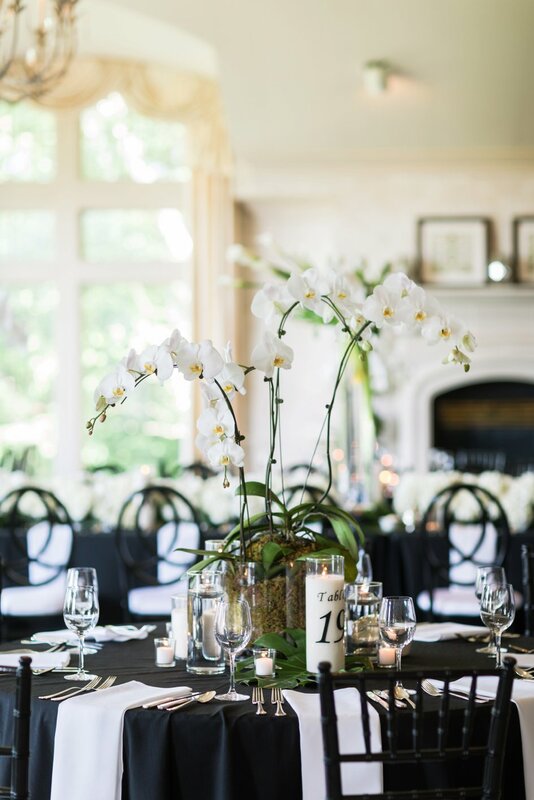 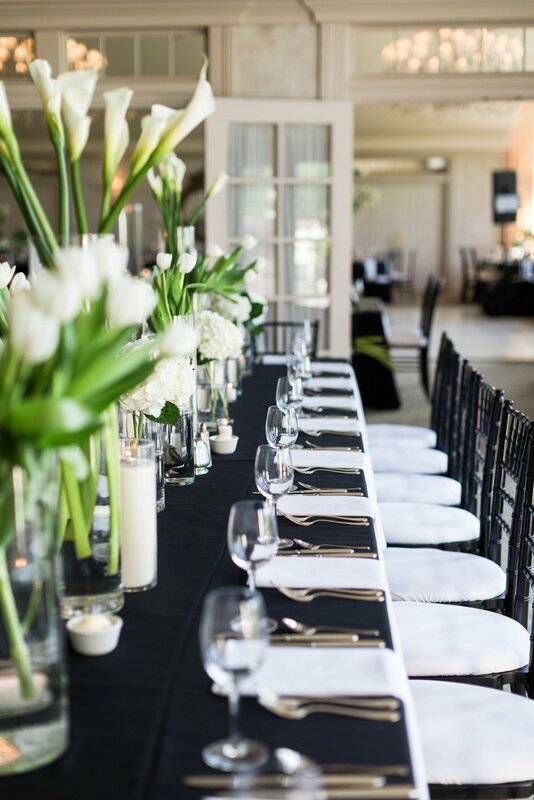 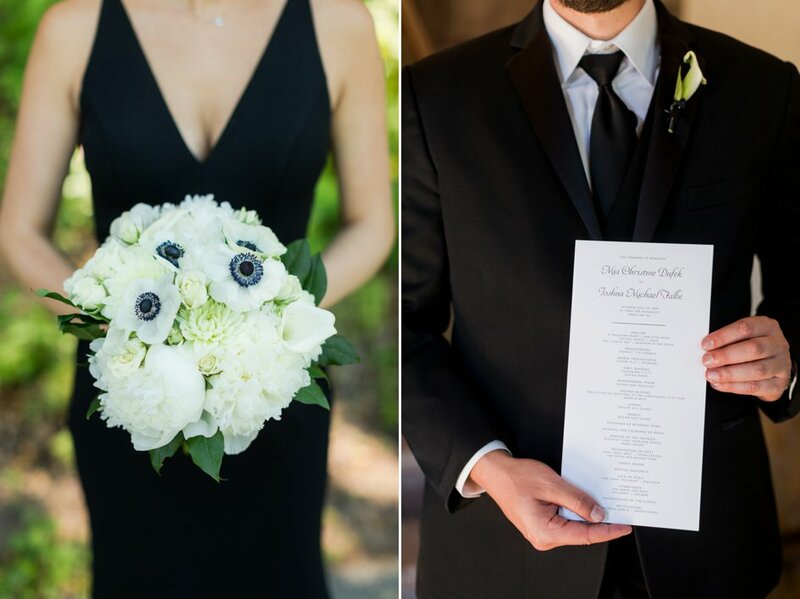 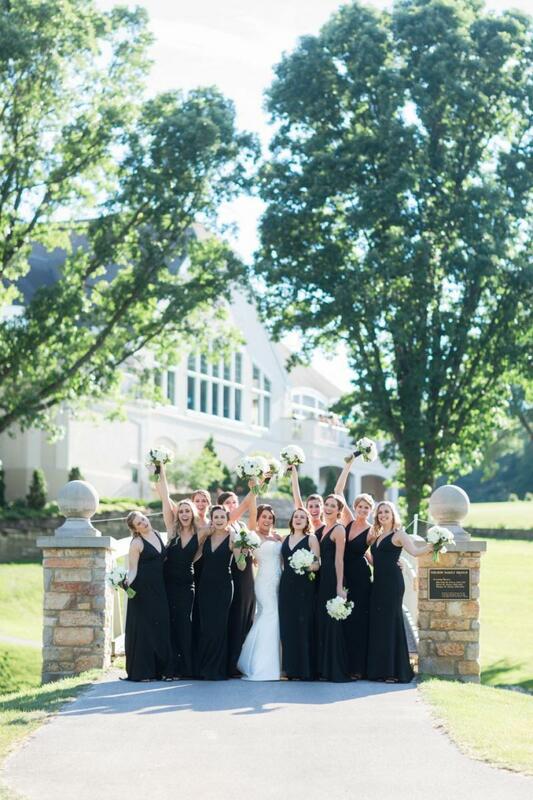 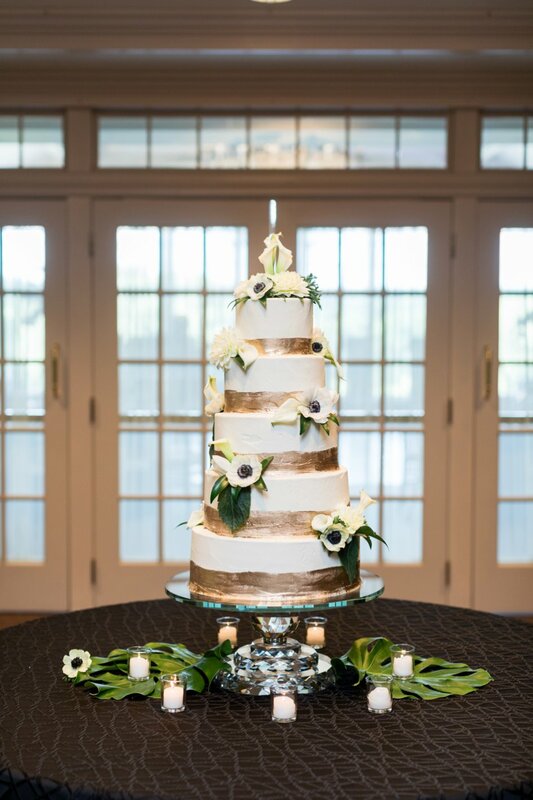 Gorgeous white florals and greenery fit in nicely with stately black and white decor. 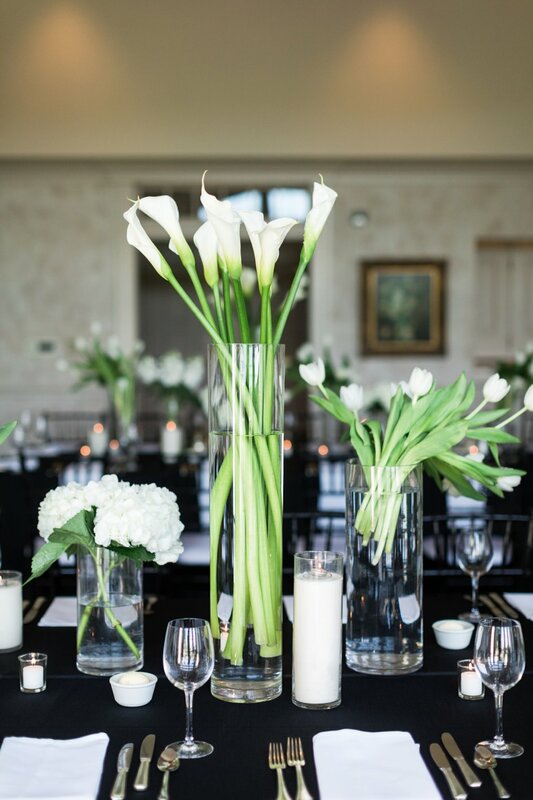 Scripted marble seating arrangements led guests to elaborately decorated tables set with flickering candles and towering calla lilies. 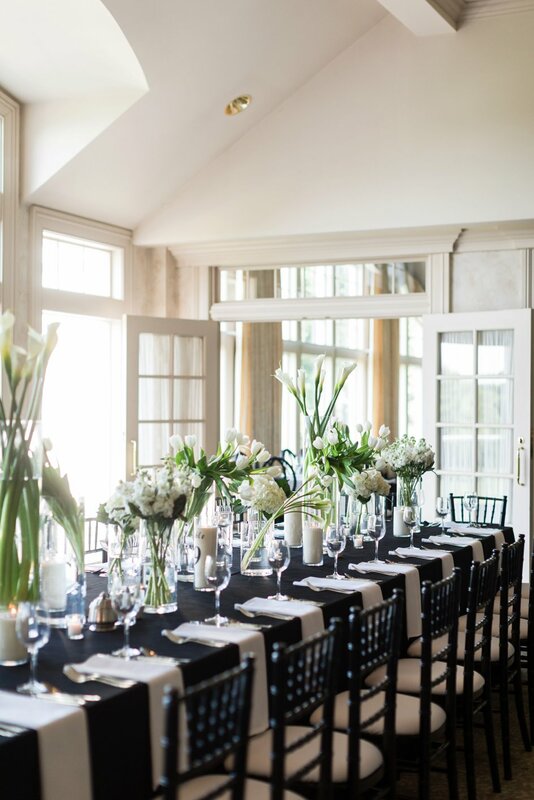 Amidst curtained windows and shining chandeliers, the couple had their first dance as husband and wife before they were joined by enthusiastic family and friends.